﻿There is nothing more irritating for a gardener than to strive unsuccessfully to cultivate a plant, only to discover that someone who apparently makes no effort whatsoever is able to grow that plant to perfection. It happens all the time, which is even more exasperating. This frustrating phenomenon is nothing to do with plants being contrary, or a refection on the gardener’s ability (or lack of it), but simply that the plant has found somewhere it is truly happy. I am frequently asked questions about hydrangeas: when to prune, how to encourage flowering, why the blooms are pink rather than the desired blue, or blue rather than the promised pink. My sister could not offer you the answer to any of these questions, and yet her hydrangeas are always magnificent; possibly the best in the neighbourhood. They are a profusion of pink, purple, puce and white, but the showstoppers are all blue; the clearest, brightest cerulean blue you can imagine. They are not fed, watered, deadheaded or pruned, yet every year they come back bigger and lusher than before. It’s a wonder they don’t collapse under the sheer weight of flowers they carry on their broad shoulders. If you are one of those people who’ve presented me with an image of a dumpy mound of foliage studded with one, maybe two balls of flower you will be frustrated, and justifiably so. The hydrangeas in my sister’s garden are lagged from top to toe with flowers and the lacecap types are religiously attended to by butterflies and bees. My grandparents planted them to the front and side of the house they built, and my granny watered them daily using dish water delivered direct from a washing up bowl. Teaspoons still come to the surface of the soil from time to time. My granny had read somewhere that dish water helped to make the flowers bluer. As washing up liquid is neutral to alkaline, and a blue colour is reinforced by acid conditions, then I’m sorry to report she had been mislead. Practically speaking an acid soil, or one bolstered with sulphur or peat, will tend to encourage blueness, whilst an alkaline soil, or one with added limestone or chalk, will enhance pink or red flowers. White hydrangeas are generally not swayed either way. 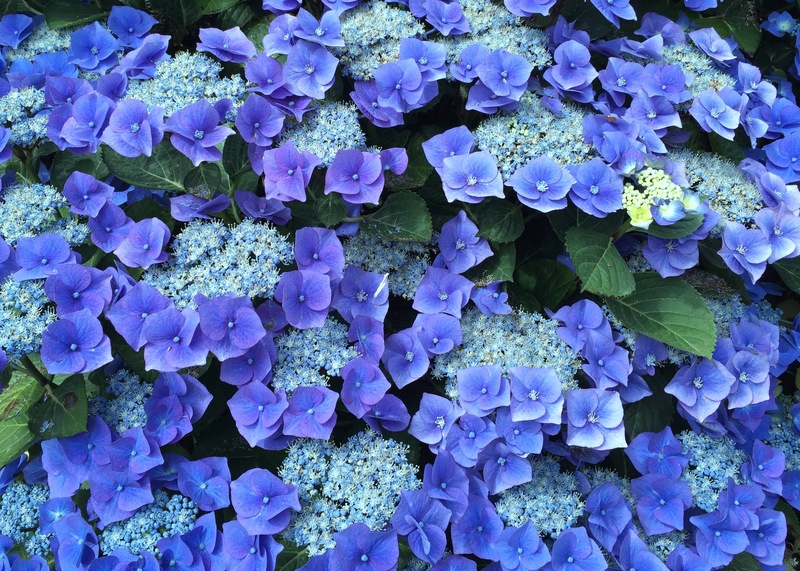 Too much alkalinity can result in poor growth, which is why hydrangeas are rarely seen in East Kent, where the ground is also too dry for these moisture-loving queens of the shrubbery. Granny left us years ago for the great garden in the sky. With the exception of my dad, who might attack them once in a decade, no one attends to her hydrangeas now. Yet the blue ones are still blue, and the pink ones are still pink. Hydrangeas are at their most beautiful and floriferous at this time of year, the most indispensible of all shrubs in Cornish gardens and the envy of countless visitors to the county. Some Cornish gardeners make do with nothing more than a hydrangea, a camellia, a cordyline, a hebe, a clump of agapanthus, the same of crocosmia, a selection of ornamental daisies and some King Alfred daffodils for a year-round display. Who could blame them? It’s a simple recipe but it works: low maintenance planting, Cornish style. 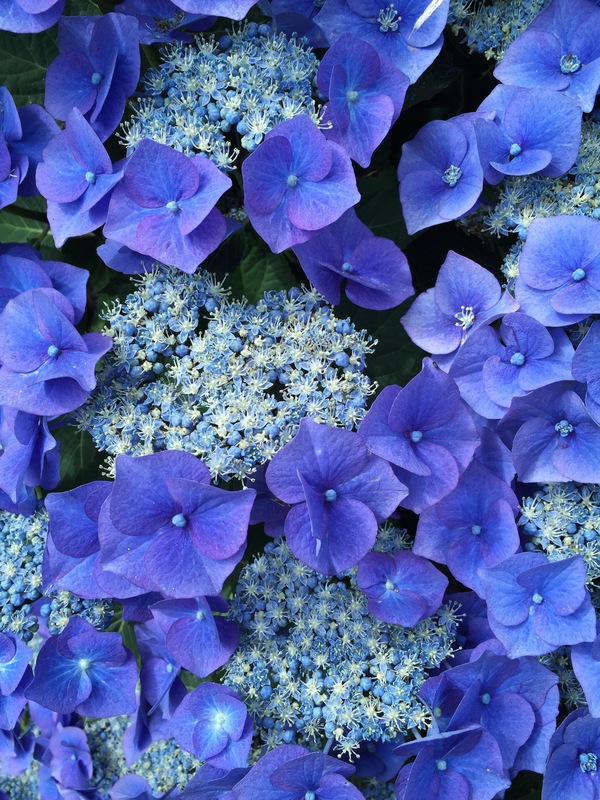 If you like your hydrangeas true blue, then the best advice I can offer is to move almost anywhere in the West Country where the moist air and acid soil will deliver you hydrangeas in any shade of azure, cobalt, cerulean or Wedgwood your heart desires. And the beaches aren’t too bad either. TFG. Those are extremely, fantastically blue. Lucky gal. I feel I must add that I have deadheaded the hydrangea by the front door on one occasion in the past 15 years. Though, even then I did it at the wrong time of year apparently. Best just leave it alone methinks? 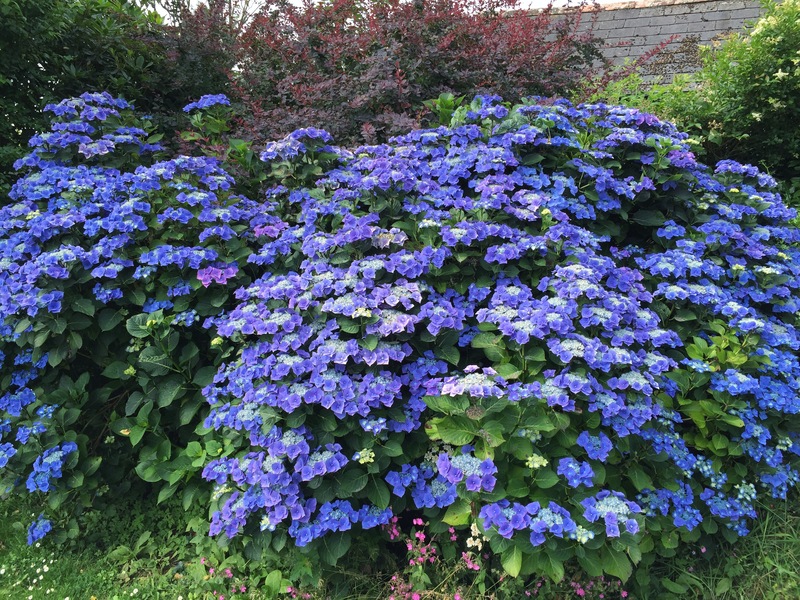 The hydrangea we inherited when we moved house just grew and grew….it became a size more suitable for Wakehurst Place or Tatton Hall than a modest house. But over the years, its pink blooms became paler and uninterestng. So I eventually took the plunge and over several weekends dug it out. I now have a smaller dark red hydrangea in its place along with a rhodi. I have got a small, but gorgeous, blue hydrangea with a near black stem doing well in my back garden now in pretty grotty soil…it seems neglect works well in the clay soils of Sussex. You are very fortunate Adele. Treasure it! Glorious! Am soooooo jealous. The aggies will have to suffice for my blue fix! Cornwall is a bit like Ireland Judy – damp and cool. Rarely cold or hot. I think that’s how they like it. I did grow one in a colossal pot in shade once and it did very nicely until we had the garden made and then I gave it away. It was pink though, not blue, owing to our hard water. At least it gives you something to be frustrated about – otherwise you’d be a misnomer, as you seem a good advertisement for the joys of gardening, despite the odd hiccup here and there. Hydrangeas do seem to thrive off neglect. My sister has a very beautiful and floriferous one too, and you’ve reminded me of one of her text messages this weekend (“I don’t get why anyone likes gardening”). The only plant in my non-gardener parents’ garden in Yorkshire was a fantastic blue hydrangea on which my mother emptied the teapot daily! I recently saw a lovely white lacecap type hydrangea at Coton Manor Gardens and was told it was ‘White Wave’. I wonder if anyone knows of it as i would dearly like one. Here’s one source for you Sally: http://signaturehydrangeas.co.uk/hydrangea-macrophylla-white-wave-l-243-p.asp. My granny also used the teabag trick. Tea leaves are slightly acidic so will help lower the soil PH gradually, plus they are packed with other nutrients, as are coffee grounds. Glorious blues on this glorious morning here in Westport, Co. Mayo!! Westport, lovely. My friend Karen is from Westport. I’d love to visit one day. You can grow a hydrangea in a very acid peat based compost and it will flower pink. It is available aluminium that turns them blue and in acid soil it is made available. If there is none to start with, as in soilless compost, they will stay pink. Hello! I’m going to do a post on the colour “Blue” tomorrow with about 9 images all up. Would you permit me to use your stunning blue hydrangea photo – the bottom photo? 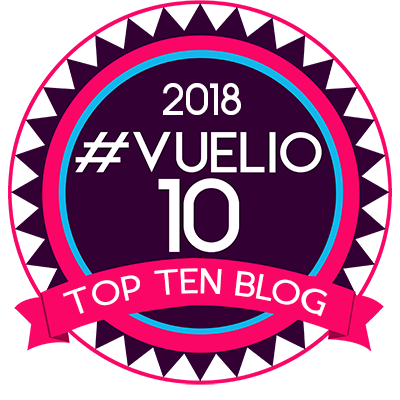 I will fully credit to this blog post and link to your blog home. Pls let me know – thanks! Thank you and, yes, you are very welcome!